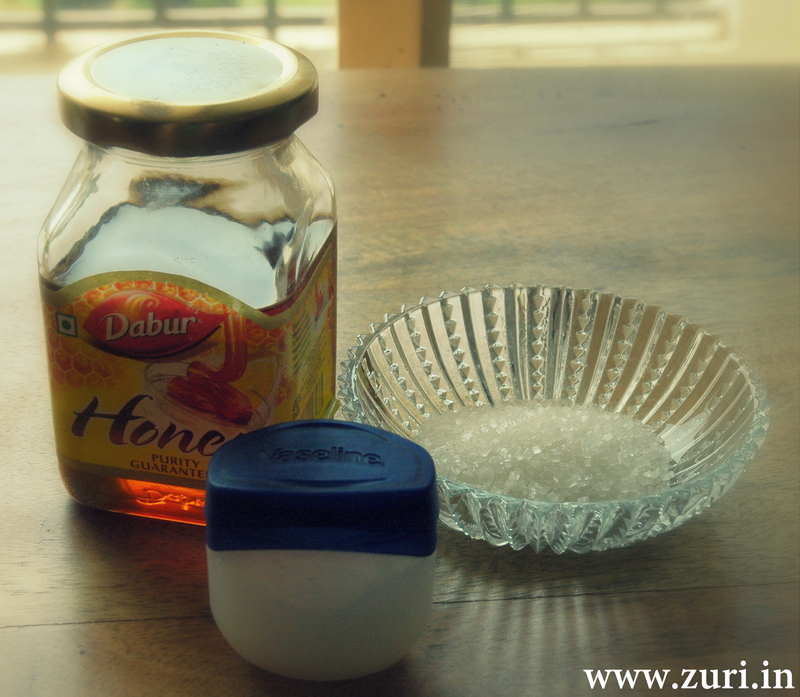 All you need are 3 things – sugar (brown or white), vaseline & honey! Take an empty container & put 1 table spoon of Vaseline, another table spoon of sugar & a teaspoon of honey. Mix all three together & scoop a small amount onto your fingers & massage around your lips until the flaky skin has lifted off your lips. This should only take about thirty seconds. Then with a damp wash cloth or tissue remove the sugar mixture & apply a balm immediately after. I use this all the time during winters to keep my lips smooth.